Application lifecycle management performs better and more reliably with a full-development lifecycle tool. Application lifecycle management performs better and more reliably with a full-development lifecycle tool, Cradle. The full development process managed efficiently, seamlessly and frictionless, in one database in one tool. Cradle is developed with Cradle. What is Applications Lifecycle Management? The process of developing software applications through a regulated formal development process that includes specification, implementation, test and deployment, in the most efficient and effective manner. Cradle provides the infrastructure to analyse, design, implement, test and deploy solutions which integrate all application development lifecycle processes, utilising Agile or waterfall frameworks, in one database in one product. Typically a third to half the price of our competitors. The way Cradle utilises licence management allows more people to use the software for fewer licences by sharing between concurrent users. Import all types of requirements into multiple hierarchies which keeps full bi-directional control, through transitive links, to all levels of your project, allowing full traceability and coverage, which alerts stakeholders to changes. Whether using agile, waterfall or any other methodology, Cradle can be configured to comply with YOUR development processes, with dozens of diagram types, full project management features and publishing you can keep control. The Cradle database encapsulates and links all the relevant data allowing full testing of all software features, linking to changes, linked to analysis, linked to requirements, ensuring testing the correct features in the right way. The full end-to-end management features within Cradle gives confidence to all teams in every step of the development lifecycle. Cradle is so good for Application Development, that Cradle itself is developed using Cradle. Cradle is a full project lifecycle tool, which enables you to do everything you require in Enterprise Architecture from requirements management, through systems analysis, architecture design, modelling, testing and implementation. Requirements management is FULLY integrated into every level of the tool. All in one tool in one database. All For 1/3rd Of The Price Of Our Competition! A small selection from our hundreds of satisfied and impressed customers. "I have been a Cradle user and administrator for 7 years of my over 25 year career as a Software Analyst and Programmer. Cradle is by far a superior systems engineering software tool. Over the years as a Cradle administrator I have utilised many of Cradle's features. 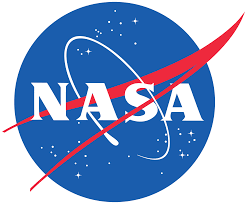 I have managed large amounts of engineering data for both NASA and contractors. I can say that Cradle is a very powerful and feature rich engineering tool. The user interface, administrative and development tools, document capture/publishing and modeling capability in addition to the Web interface all make Cradle superior in engineering tools." Start your free Cradle trial now! "Cradle is great to work with. Having multiple people editing a set of requirement at the same time was one of the reason we procured Cradle. Cradle can show all links to/from an object(item) and relationships between many object modules. Hence, Cradle can show a full end to end traceability. Cradle supports the full system lifecycle. Cradle has integrated modelling (for full MBSE), supporting any number of fully integrated and cross referenced process, analysis, architecture and design models, all linked to all other project data. Cradle supports a variety of modelling notations, including SASD, IDEF, UML, FFBD, PFD, ADARTS and others. " Sr. Systems Engineer-GCP Aircraft Systems, Thales USA, Inc.
"Ease of configuration management for large groups of design data. Ease of training new users. The degree that an administrator can enact global database schema changes with no error. The ease with which the schema for item types can be defined. The ability to feed simulation using design data and schedules as well as DRM (design reference mission) Idef architecture. The tool suite presents a single integrated environment to link design architecture, requirements, and specifications in a conguration controlled database. " "In-Depth Engineering uses Cradle as its requirements management tool on the development of mission critical systems for the Navy. This includes systems that preset and deploy weapons, and systems that provide critical sensor and targeting information. Cradle's extensive feature‐set allows us to manage, collect, organise, and derive requirements in a manner consistent with the unique needs of every project. Cradle's flexibility allows us to create new requirement relationships to solve unique System Engineering problems. When we need assistance, we do not hesitate to contact 3SL for Cradle support. They are knowledgeable, friendly, and have always been available to help us with our problems." "3SL were very active in their support to me and highlighted that we had local support available through Simon Fearnley and Agile Controls in Adelaide Australia. A webinar was arranged with Mark Walker in the United Kingdom that Simon attended. I had included a number of systems engineers including the Chief Engineer and we were all thoroughly impressed with Mark's knowledge and the capabilities of the tool, not only for design but for the complete Systems Engineering lifecycle and various subtleties linking requirements, design, and test but parametric modelling, configuration management, document generation and engineering and project management support. We bought the tool, recognising the potential for a substantial productivity gain and improvement in quality. At a training session I continued to be impressed as I discovered yet more features of the tool. Consultancy has further helped to configure the tool for our specific needs. I have been nothing but thoroughly impressed with not only the breadth and depth of capabilities of the Cradle tool, its flexibility, integration, and price (value for money), but in with outstanding pre-sales and post-sales support we have received from 3SL. I would thoroughly recommend Cradle and 3SL for complex systems engineering projects." Login or Register to download Cradle RM-Pro and generate a 14 day security code. Single user and Subscription Enterprise versions of Cradle. Contact us for enterprise versions. Multi-user, enterprise scalable system. with a licence usage system designed to give you much more for your money. Share floating licences from a licence pool allowing intelligent concurrent usage, meaning more people can use Cradle without extra licences, saving you typically 1/3rd of the cost of other products. Cradle Enterprise comprises everything in Cradle RM-Pro and Cradle SE-Pro and lots more, for enterprise level solutions. Enterprise is the all-in-one requirements and systems engineering tool which manages your projects from concept to creation, in one tool, in one database. 3SL Cradle enables organisations to be champions of requiring and providing bi-directional traceability to all relevant data, from cradle to grave -- the entire project lifecycle -- due to the tool’s ability to be customised with ease and ability to produce products that builds confidence in project stakeholders. We are here to help you get the best out of your systems engineering projects. From initial requirements gathering, to final implementation, Cradle does it all. ©2019 Structured Software Systems Ltd.